It is often said that the secret to any great film or television show or even a documentary or advertisement film is good photography. Good camera work is what makes a show move up from average to great. Even a well directed film or television programme can come out as a boring affair if it is not creatively shot. Similarly, a moderately directed film or TV Show can become a big hit due to the creative touch of a cameraperson. Camera is one of the most important elements of an audio-visual programme because it gives the programme a certain look. It is a perfect combination of art and technique. How the video or TV Camera Works. Different types of TV Camera? Difference between a Film & TV camera and Images. Different types of Camera mounts & heads. Different types of camera movement. Camera lens - different types & properties of lenses. Camera composition. Principles of camera composition. Differences between a Digital & Analogue image. Digital & Analogue Image formation theory. Different types of shots used in cinematography/ videography. Colour filters: Use of colour filters in Cinematography. Different types of shooting formats and aspect ratio (RAW, 2k, 4k, JPEG etc). Colour Correction, Principles of colour correction. Basic use of lighting in Cinematography. Principles of different types of lights used in Cinematography. Quality of lighting; Hard and Soft lighting, Soft but Directional lighting. Lighting for static and moving shots. Lighting for character and camera movement. Class 1: Practical with D-90 still camera. Principles of composition. Class 2 to 5: Lighting and camera operation practical with AG HX 90 Camera. Introduction to tungsten lights and artificial daylights. Creation of indoor day and night sequences with actors. Camera menu. Lighting for static shots. Change of camera angles in a scene. Ratio lighting - introduction. Class 6 to 8: Lighting and camera operation practical with z7p/NX3/ NX100 camera. Location lighting - introduction. Use of natural daylight as ambient daylight. Introduction to mixed lighting. 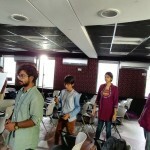 Lighting of character and camera movement with actors. 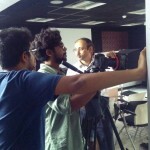 Class 10 to11: DSLR Cinematography with Canon 5D-MARK III/ MARK IV/7D/Nikon 700D Camera. 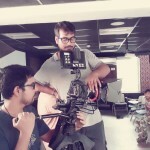 Controlling of camera movement for DSLR cinematography. Shooting an action scene. 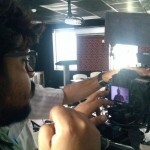 Class 12 to 13: Lighting and camera operation with Sony AS7 / BlackMagic Cinema camera. Location outdoor lighting. Song picturisation techniques with choreographer and artists. Theory classes would be followed by Practical classes. The course offers to learn the basic camera skills required to shoot telefilms, teleserials or any other audio-visual programmes – from technical knowledge to theoretical background, analysis and appreciation with hands on training using the actual equipments. 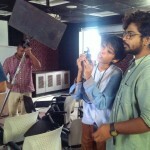 Students are taught all the techniques and nuances required to do a good camera work along with backend data management, whilst also learning about all the latest innovations. Total 120 hours of practical & 36 hours of theoretical classes are spread over 13 weekends – Saturdays (Theoretical classes from 5 – 8 pm), Sundays (Practical classes from 10 am – 7 pm). Theoretical classes will be held at CMI campus, while the practical classes will be held both at CMI & different outdoor locations. First come first registered basis to fill up limited number of seats. A photograph and a proof of address will be needed for the form. After successful completion of the course students can start their career in television and film industry as an assistant camera person or as an assistant to an established camera person or in a studio or television channel. 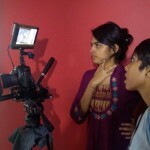 They can also start working as an independent camera person or even pursue further studies at SRFTI or FTII. 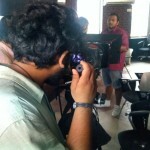 The course will be conducted by a professional cameraman with about 20 years of industry experience. 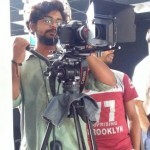 He is an alumnus of Film & Television Institute of India (FTII), Pune. Rs. 35,000 + GST to be paid at the time of admission by account payee cheque or demand draft drawn in favour of Calcutta Media Institute Pvt Ltd and made payable at Kolkata. Name of the Company: Calcutta Media Institute Pvt. Ltd. Address of the Bank : College Street Branch. YMCA Building. 90/7, M.G. Road. Kolkata 700012. Theoretical classes will be held at CMI campus (501, Elgin Chambers. 5th floor. 1A, Ashutosh Mukherjee Road. 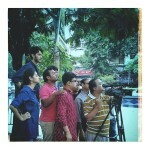 Kolkata 700020) while the practical classes will be held both at CMI & different outdoor locations. This being a professional course waiver in attendance will not be allowed. CMI, 501, Elgin Chambers, 5th Floor, 1A, Ashutosh Mukherjee Road, Calcutta 700 020.